The Christian Life and Worship (CL&W) program is an important part of a Gordon education and contributes significantly to our mission to graduate men and women distinguished by intellectual maturity and Christian character, committed to lives of service and prepared for leadership worldwide.  Because Chapel and Convocation programs are viewed as an integral component of a Gordon education, regular attendance is required for graduation, much like other non-credit-bearing elements of the Gordon experience such as La Vida, Discovery and physical education courses. All full-time students living on campus must receive 30 CL&W credits each semester regardless of work schedule. Commuters are required to receive 20 CL&W credits. Seniors in their last semester before graduating do not have a CL&W requirement but are encouraged to attend Chapel and Convocation and take advantage of the many CL&W events offered. Records of attendance are kept in the Chapel Office. Students can view their CL&W accounts and view upcoming events bearing credit under Student Links on the Go Site. All students are expected to remain in good-standing with their CL&W requirement. After one semester of non-compliance, offending students will be placed on probation; parents of dependent students will be notified and a record is kept in the student’s file. A second semester of non-compliance may result in suspension from the College for one semester. Following a semester of suspension, students will be eligible to re-apply to the College. Students returning from suspension will be required to meet the chapel requirement each semester until their last semester as a graduating senior. Any attempt to falsely represent one’s attendance record will result in disciplinary action. Qualifying students may submit a Christian Life & Worship Credit Reduction Application to the Chapel Office. All forms must be in by the third week of classes each semester, except in the case of short-term medical or unexpected emergency needs. These are due within three weeks of the end date or one week before finals, whichever comes first. See form for more information. Commuters and students who are married, part-time or graduating should receive their reductions automatically. Please contact the Chapel Office with any questions. A new application must be submitted for each semester. Percent reduced is based on how many times per week students have approved conflicts with Monday, Wednesday, and Friday gatherings at 10:25 a.m. We are unable to approve reductions for on/off-campus employment or personal internships.